Looking to make money from your videos? 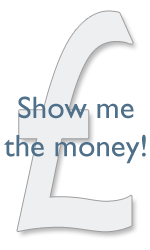 If you are looking at making capital from your premium video content? This detailed blog should cover all the basic information you will need. 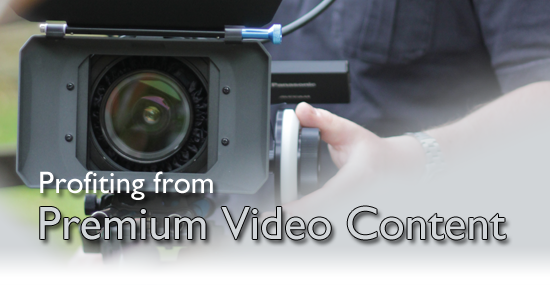 What is Premium Video Content? Every now and then a client asks us how they can monetise their video content. This is generally because they believe they’ve got an idea for a film which they think there’s a paying audience for. This is a perfectly understandable desire as video is a great way to share valuable information – but ‘Premium Video Content’ has to have certain aspects about it before it can generate income and profit. Professional Development – content that will enable a professional or craftsman to do their work better, quicker and/or more economically. The viewer must believe that by watching your premium video content they will be more successful professionally. Personal Development – content that will enable a hobbyist, artisan, sports person or novice to carry out their activities to a higher level of achievement and/or enjoyment. Your premium video content must be inspirational and empowering. Do you have a Viable Market? You might have the best possible premium video content idea, and the expertise to deliver a valuable video, but it is equally important to know who and what your target audience size is. These are not things you can guess at – they must be researched! You must know how many potential viewers there are and how much they would pay to watch, or own, your video. You must also have routes to this market to enable you to communicate and market your premium video content to them. It is only when you know the cost of producing, distributing and marketing your premium video content that you will understand its viability. If your content is of general interest and purely for personal development then it is unlikely going to attract a substantial amount of revenue per customer. You’ll therefore need a substantial audience – maybe in the tens or hundreds of thousands. Conversely, a premium video content video that contains top-tips and industry secrets aimed at a highly-paid profession might well attract substantial revenue per customer. To make these profitable might only require a handful of customers. You have basically two ways in which to distribute your premium video content to your audience – either on physical media (i.e. DVD or USB stick) or online (i.e. YouTube, Vimeo or your own servers). Each has its strong points – and each can be offered in combination with the other – which will be expanded upon later. One of the greatest risks to your profitability, whether releasing on physical media or online, is copy protection. It is a major concern for all creators of premium video content and you should adopt every practical measure to ensure your content is only consumed by paying customers. Even the biggest media corporations struggle to achieve this, so the very least you can do is follow their example and account for this shrinkage within your pricing structure. All digital content is relatively easy to copy – even for the novice. Whilst there are copy-protection technologies and systems out there an experienced media-copying specialist (a Pirate), with a modicum of investment in technology, will be able to defeat them. Piracy is still theft though, so you need to make it as difficult as possible to guard your premium video content – or at the very least make it unattractive for the pirate to steal by pricing it attractively so they do not bother to try an undercut you. Let’s look at the benefits, drawbacks and features of the two main distribution methods. Whilst there is a move away from disc-based media (DVDs and Blu-Ray), the saturation of disc players (set-top boxes, computers, games consoles…) means that it will be with us for quite some time and provide you with a widely acceptable means of distributing your premium video content. DVD players are far more widely available, but limited to standard definition content. Blu-Ray discs are capable of delivering high definition content, but players are far, far less prevalent. Though you should always consider quality when selling premium video content, the fact that it is not high definition might not matter to your customers – as long as you’ve remembered that ‘Content is King’. If you believe your customers will want high definition (or beyond!) the alternative would be to supply your premium video content on USB sticks. File-based delivery is growing very fast and most modern TV sets will play video straight from a USB stick – as will nearly every computer. 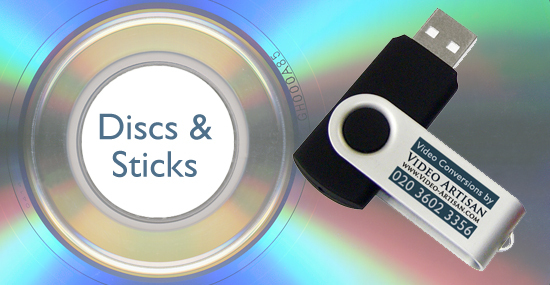 The other added benefit of USB sticks is that you can easily include other digital files and assets on them. For instance, an instructional video might also benefit from having some additional printed notes or diagrams to aid the customer. Whilst it is still easy to copy a disc, and somewhat easier to copy a USB stick, the main benefit of supplying your content on physical media is that it gives a greater sense of value and ownership to your customer. It also gives you additional means of branding your product within packaging. Furthermore, customers who have purchased your premium video content are less likely to copy and share it. Though a physical product will attract a higher price, there’s also additional costs and time involved in production and distribution. The cost of blank media is generally going down (a recordable DVD is pennies rather than pounds), but you also have to consider cases, postage and the manpower involved in processing orders and maintaining stock levels. That being said, the payment mechanism is reasonably straight forward… They pay you – you send them the product! The biggest advantage of distributing your premium video content online is virtually zero costs in distribution per unit. Once you have created your video and uploaded it to a server each viewing or download will be almost cost free – depending on the payment mechanism or platform you’ve chosen to host it on. The biggest drawback is that once your content is ‘online’ it is extremely easy to copy and share. DVDs and USB could also easily be uploaded and exploited the same way, but with online content you are only a couple of clicks away from your content being copied, shared and duplicated everywhere. Projecting margins and profits therefore must take into consideration a much higher level of shrinkage. Maybe only 1/1000 people who get to watch your content might have actually paid to do so – but on high-volume, mass-market premium video content this might still be enough to generate profit. There are a number of online facilities which will enable you to host your premium video content, take payments for plays and downloads, create audiences and enable you to communicate with them. The two most notable are YouTube’s ‘Paid Channels’ and Vimeo’s ‘Pro’ accounts. Each has its own payment and charging model and restrictions but either could suit both mass-market and specialist market premium video content. You could of course use your own website to distribute your content – with your media located in password protected areas which paying customers can only access. The videos themselves could be hosted on Vimeo Pro and Plus accounts which can restrict the video from being embedded on anything other than your designated URL. You can also elect to enable or disable downloads – or even add password protection so that your premium video content can only be played by those in possession of a password. There’s one thing that every customer appreciates today, regardless of the product or service, and that’s ‘choice’. Once you have gone to the time, effort and investment of creating your premium video content then you should release it using all distribution methods available to you. Give your customers choice – and fewer reasons not to buy! Giving away ‘teaser’ content online is also a great way to drive sales of complete programmes. Short extracts can be edited to freely distribute online which give viewers an insight into the value of information your films contain. If you make this free content available by request (maybe by subscribing to your website) you will gradually build up a database of potential customers for you to market. This is even more important for those who believe they have material for an ongoing series of premium video content. Customers who buy part I in a series are much more likely to buy series II, III, IV & V! So… you’ve got the idea, know your market and understand about distribution – now all that’s left is to work out how much it is going to cost to get your premium video content created! 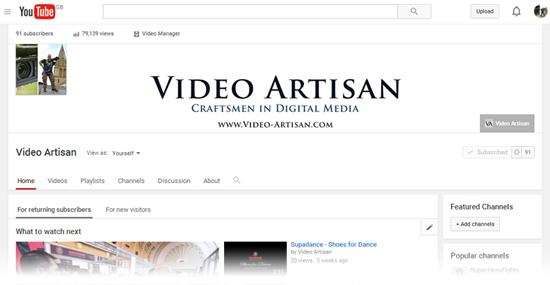 This is where Video Artisan comes in. The tricky bit is that there is no such thing as an off-the-shelf cost for video production – no matter who tells you otherwise. 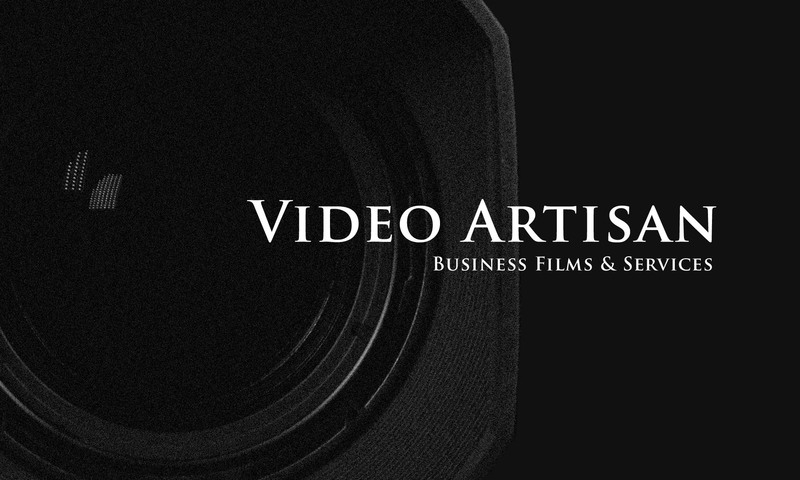 There are standard packages broken down into number of days to film and edit – but the all-in costs can range dramatically depending on what you are trying to create and how much work and involvement you are looking for from your video production company. We have produced another guide which should, hopefully, give you a better idea of how video production costs can vary (see here) but your next step is to contact us for a no-obligation consultation to see how Video Artisan can help you to start profiting from your premium video content.